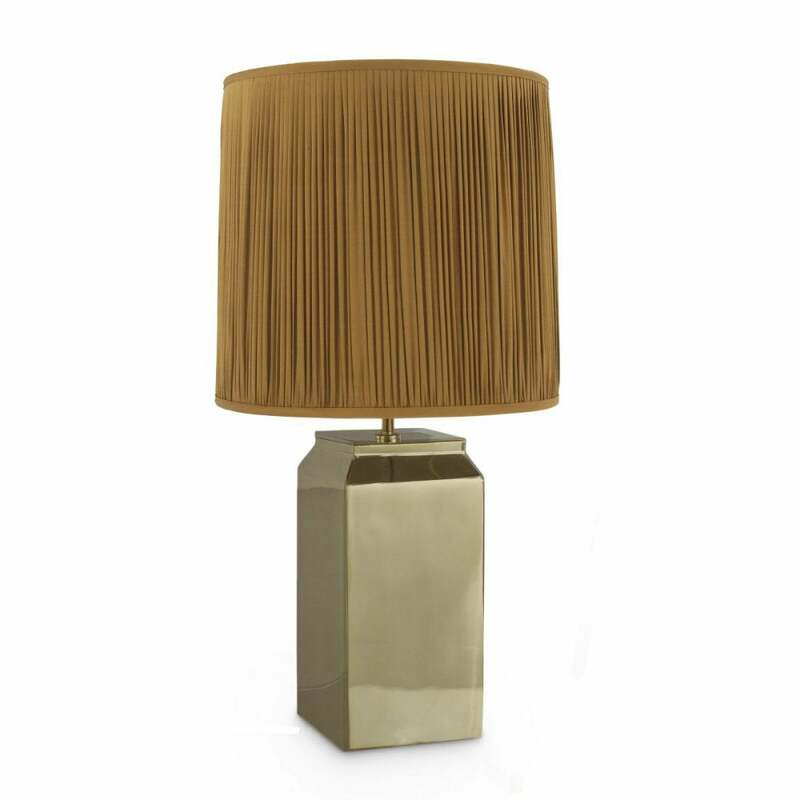 As pure and simple as its namesake, the Ingot Lamp from Porta Romana has a statuesque quality on a small scale. Crafted by skilled artisans, each lamp is hand-made and cast at Porta Romana’s workshop in the UK. Formed from the finest materials, Ingot glows with an understated opulence. Place on a bedside table to brighten a neutral colour scheme or style in a dark jewel toned room for a glamorous look. Complete with an exquisite silk shade. Ingot is suitable for rodding and bolting for use on yachts. Make an enquiry for more information.